Check out our list of the best WordPress Black Friday deals in 2018. The holiday season is just around the corner starting with Black Friday and Cyber Monday on November 24th and 27th respectively. 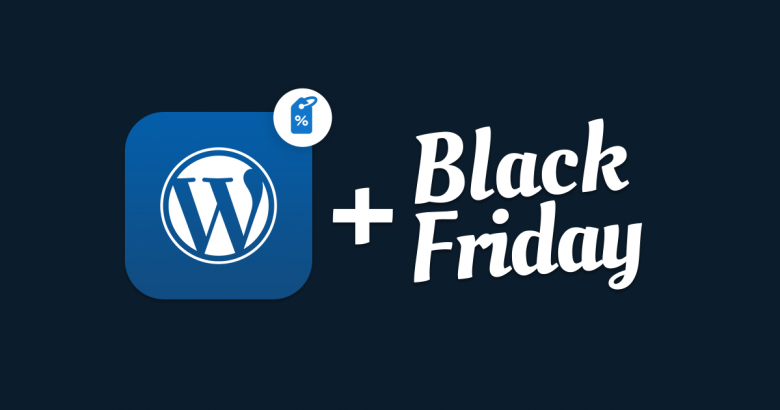 Check out our list of the best WordPress Black Friday deals in 2017. This is the best time of the year to purchase WordPress plugins, themes and services such as hosting. Therefore, companies are eager to give special, limited time offers to gain new customers. Looking for the best Black Friday deals for WordPress in 2017 isn’t that easy. There are many great services offering their discounts and its hard to keep track of everything. So here’s a post where we gathered 2017’s best Black Friday deals for WordPress for you to chose from. Don’t forget to check out the post often, as we add new offers every day. Description: Smart Slider 3 is the perfect responsive slider for WordPress. You can create beautiful sliders and animated blocks easily with the next generation visual editor. You don’t have to think about any technical details, the drag&drop interface will help you. You won’t believe how easy it is! We are excited to offer a huge 60% discount on all plans! Description: Elegant Themes is one of the most famous WordPress theme developer company around there. They are offering the craziest deal ever conceived! This year’s Black Friday sale starts on Friday, November 24th at 12:00am PST, and you definitely don’t want to miss it! We are offering 25% OFF everything, the biggest discount we have ever given. Description: Successful Designer’s Best Kept Secret, Create Stunning Professional Websites In Minutes. Use Elementor with your favorite or customized theme. Change themes and still keep all your designs. Landing pages, homepages, posts, portfolios, products. Elementor can be used to design any page or custom post type. Description: Happy Holidays! At Beaver Builder, we’re excited to offer 25% off our entire store starting Black Friday through Cyber Monday. Build beautiful pages, save and reuse layouts, and take control of your WordPress website. We only discount our products once per year, so don’t miss out! Join the Beaver Builder family today. Description: WP Rocket is the best and easiest to use WordPress caching and performance optimization plugin available. It’s extremely simple to configure and use and gives immediate results with minimum effort to set it up. This year WP Rocket offers the biggest discount ever, 35% OFF on all licenses. Grab a license now and speed up your site immediately! Description: CSS Hero WordPress plugin – up to 60% off. Speed up your working process with CSS Hero and enjoy more time for yourself. Description: For a limited time through November 28, you’ll save 20% on top of the current sale price for All in One SEO Pack Pro. Everyone, from corporations and small business to authors, bands, brands, restaurants, and retailers can do SEO like the PROs. Use coupon code TWENTYOFF to save 20% on the Pro version and get your site higher up in the rankings! Description: 40% off plugins and themes at Imagely using the coupon code, BF40. Join 1.3 million people creating beautiful image galleries with NextGEN Gallery, the most popular gallery system ever for WordPress. Add stunning display styles, social sharing, print sales, digital downloads, proofing galleries, and more with NextGEN Plus and NextGEN Pro. And get finely tuned and pixel perfect website design with our Genesis child themes for photographers. Description: A 4.6 star rated video plugin by Foliovision with over 30,000 happy users. With FV Player, never worry about video hosting again or reliable playback. Whether you host your videos on YouTube, Vimeo or Amazon, enjoy your own custom player skin and the same advanced video ads, overlays, quality switching, AB loop, variable speed playback and searchable transcripts on all of them. Enjoy Wistia and Brightcove level features while taking advantage of free or inexpensive hosting. Description: UK agency Barn2 Media are offering a massive 50% off WordPress plugins. WooCommerce Product Table is a bestselling plugin improves your conversion rates. Posts Table Pro is a plugin that list posts, pages or custom posts in an interactive WordPress table. Perfect for document libraries, events, products & more. WooCommerce Password Protected Categories & WooCommerce Private Store plugin is the easy way to make WooCommerce private. Password Protected Categories plugin helps you hide any type of category in WordPress. Description: 33% off on ALL Page Builder Sandwich license — single or unlimited sites, yearly or lifetime membership. Description: Since 2011, BlogVault is the most reliable WordPress backup, staging, migration & security solution trusted by over 200,000+ websites. It can backup or migrate a 300 GB site without overloading your server. It has the fastest website recovery tool. We power migrations for popular web-hosts including WPEngine, FlyWheel, Pantheon and many more. BlogVault is offering the biggest ever Huge 35% off all new purchases (across all plans) and on all plan renewals and upgrades. Description: MalCare is the first fully automatic WordPress malware scanning and cleaning plugin developed using proprietary algorithm after analysing over 200,000 websites. It uses 100+ signals to identify a malware and provides an instant one-click malware removal feature. It ensures your site is never overloaded and detects the most complex malware which go unnoticed in other popular security tools. MalCare is offering the biggest ever Huge 35% off all new purchases (across all plans) and on all plan renewals and upgrades. Description: 20% off on all products (Themes & Plugins) across WisdmLabs site. The deal is applied to the entire cart, there is No minimum amount, No maximum usage limit, and it is not limited to a single use per user account, a user can use this coupon multiple times during the promo period. Description: The Ultimate Add-ons for Beaver Builder is the best Beaver Builder add-ons that come with 45+ advanced custom modules and 300+ page and section templates to make website building an easy task. You can purchase the Ultimate Add-ons for Beaver Builder at 30% OFF between 20th November (12:00 am) to 28th November (8:00 pm) – Eastern time. Use coupon code BLACKFRIDAY at the time of checkout. Description: Astra is the fastest WordPress theme that is available for free in the WordPress repository. Astra Pro add-on is a plugin that enhances the possibilities of the Astra theme giving you more options to beautify your website. These add-ons add a number of features and functions to this free WordPress theme. You can get 30% OFF on the Astra Pro add-on, by using the coupon code BLACKFRIDAY at the time of checkout. Description: If you want to create beautiful pages directly in your WordPress theme, use Qards, now it’s discounted by 70% on Designmodo! Use coupon code BLACK during checkout for instant savings. This plugin works with all types of WordPress themes, so you can use it easily without breaking the theme. Description: Admin Columns Pro is a plugin that saves you a lot of time. Find, manage and edit your content directly from the overview screens. During Black Friday/ Cyber Monday you get 30% off any Admin Columns Pro plan. Description: Get 30% discount when you purchase Extended Widget Options. Offer good on any license plan, license renewals, and add-ons. Use Coupon Code: BLACKNCYBER30 at checkout. Extended Widget Options is The World’s Most Complete and User Friendly WordPress Widget Management Plugin. It’s one of the top-rated WordPress plugins and has over 100,000 downloads. Description: Page Builder Framework is a WordPress theme designed to especially work with Page Builders like Elementor, Beaver Builder, Divi, etc. During the Black Friday weekend we’re offering a 30% discount on our Page Builder Framework Premium Addon. Description: WPEverest in surely a new name in the WordPress world but a rapidly growing website. The company has an awesome plugin ‘User Registration’ on sale for this Black Friday! It is a user registration plus profile plugin that is built for simplifying and enhancing WordPress registration. We are offering 40% off on All Theme Package and the User Registration Plugin. Description: Take 50% OFF all Themify products! Yes, you heard us right – 50% OFF. This includes all plugins, Builder Addons, WordPress themes, and all Club Memberships (excluding the Lifetime Club Membership). Description: We’re running a 60% off sale on everything at Theme Junkie for Black Friday / Cyber Monday. Description: The ThemeIsle Black Friday / Cyber Monday 25% discount applies to all the ThemeIsle membership plans which bring you: access to 30+ Themes, access to 10+ Plugins, access to New Themes & Plugins, 1 Year Shared Hosting, Fast & Friendly Support. Description: TemplateMonster is running a huge Black Friday & Cyber Monday sale! Visit TemplateMonster.com and get 50% off on all ANY product! The offer is active from November, 23 until November, 30. Hurry up to purchase your dream template at TemplateMonster marketplace! Description: ThemeGrill created Spacious and ColorMag, which are among the most popular WordPress themes ever on the web. There are 15 beautiful premium responsive WordPress themes for various niches – WooCommerce themes, business, magazine, blog, one-page parallax themes etc. Flash is a multipurpose theme trending on ThemeGrill. Buy a single theme or All Themes package or premium maintenance page plugin with 33% discount and join 300,000+ happy customers. Description: Meridian Themes is a premium theme shop where you can find handcrafted and well-coded WordPress themes. They currently have 7 themes on their store and a few more in pipeline. Get 25% off all purchases. Description: Beautiful WordPress themes, plugins and Elementor landing pages without the confusing parts. Get 40% off all purchases. Description: The Total WordPress theme is 50%! This is the best time of year to grab a copy of this top selling WordPress theme and find out why customers love the easy to use customizer, drag & drop page builder and powerful developer options you’ll only find in Total. No code needed, the theme is already on sale! Offer valid through November 29, 2017 at 2pm AEDT. Description: Start your own ecommerce store and blog with the CHIC WordPress theme. With a minimal and stylish design this theme is a surefire way to impress visitors to your website, and best of all this theme is 50% off for cyber week! No code needed, just click the link! Offer valid through November 29, 2017 at 2pm AEDT. Description: CyberChimps offers a wide range of WordPress themes and plugins for every niche – business, creative domain, personal blog, etc. This Black Friday you get Flat 20% Off on all CyberChimps’ WordPress Themes and plugins. Description: MyThemeShop is a premium WordPress themes & plugins which are used by not only top affiliate marketers like Matthew Woodward but top bloggers like ShoeMoney and many other webmasters as well. We have a collection of over 150 WordPress products which are very easy to use. MyThemeShop focuses on quality and clean code and has also contributed to the core of WordPress. Description: 40% off all Tesla Themes using the coupon code, BF40. Pick up a bundle of 67 handcrafted WordPress themes for a variety of genres. This includes video themes, WooCommerce integration, photography themes, church themes and more. Description: For this year’s Black Friday and Cyber Monday season, Aspen Grove Studios, one of the leading WordPress and Divi third-party development agencies, responsible for creating some of the highest-selling Divi products, will be holding their biggest sale to date. Our Lifetime Membership, which includes access to all of our existing products and future releases, will be discounted from $297.00 down to $249.00. A la carte store purchases ranging from various WordPress, Divi and Extra plugins, child themes, layout packs and more, will be marked down by 25%. Description: Get a 20% Black Friday discount on high quality WordPress themes for charities, restaurants and bloggers by Anariel Design. This discount can be applied to any of our three pricing plans that include access to our whole theme portfolio, updates and support. An already incredible value just became even more affordable, but for a limited time only. So, don’t miss out! Description: Theme-Stop.com is offering a huge 60% off all plans, with 25+ premium WordPress magazine themes. Description: Since 2007 Shape5 has created some of the best WordPress Themes, WordPress Plugins, Joomla Templates and Joomla extensions available on the web. With over 303,000 members we are one of the longest running Joomla Template and WordPress Theme Club Providers. We offer dozens of diverse and aesthetically pleasing products to pick from. Be sure to take advantage of our Black Friday through Cyber Monday sale with 25% off all our products! Just enter the coupon code: 2561007D at checkout. Description: Get 50% off all of our single themes or get the theme club for half price! This extra special deal is available for one week only! Description: StrictThemes build unique WordPress themes and plugins. If you think building a professional website should be easy, you are in the right place! Our goal is to create amazing-looking themes that are naturally easy to use and customize, without any compromise on performance. Enjoy 50% discount only this week! Description: Get 60% off all PremiumCoding products. It is their biggest sale of the year as they are offering a discount on all their WordPress themes and subscriptions. Use code PremiumCodingCyber60 at checkout. Description: Get 40% off the best designed WordPress collection on the planet! From November 24th – 30th, Array Themes is offering 40% off the entire collection of eCommerce, magazine, blog and photography themes. This is our last sale of the year so grab it while you can! Description: Get 90% discount on ProteusClub monthly which includes 10+ niche-specific WordPress themes with unlimited usage. Go to proteusthemes.com, choose ProteusClub monthly and use the coupon code BLACKFRIDAY90 at checkout. Description: Looking to start a community site? An Elearning site? Or a multi-vendor online marketplace ? BuddyBoss’s stunning themes and plugins combine great functionality and design and will provide you with exactly the tools that you need. Description: AccessPress Themes designs and develops premium quality WordPress themes and plugins enriched with powerful features. Our themes are elegantly designed, neatly coded, flexible and highly configurable. The themes are optimized for simplicity, user friendliness and best usability. This Black Friday & Cyber Monday, AccessPress Themes has offered 40% Off on all its premium WordPress themes. To get the deal, use coupon code “BFCM2017” while checking out. Grab the deal soon! Coupon: After the purchase open a support ticket and let them know that you got the deal from our site using the NextendBF17 coupon. Description: ServerPilot is a server management platform for hosting PHP apps like WordPress on cloud servers from any server provider, like Digital Ocean, Google Cloud, AWS, Rackspace, Linode, and Microsft Azure. ServerPilot is offering a 3-month free trial of their cloud hosting control panel ($30+ value). The discount is applied on signup. Description: Cloudways has a great deal this Black Friday and Cyber Monday. By signing up for a new account and using the promo code: BF150, you will get $150 hosting credit, absolutely FREE. Use this credit to launch servers and your favorite apps. All Cloudways plans come with FREE SSL certificates, FREE migration, and 24×7 support.